Also why not try a new way to sit ? This is bean bag for the ultimate in relaxation and comfort. 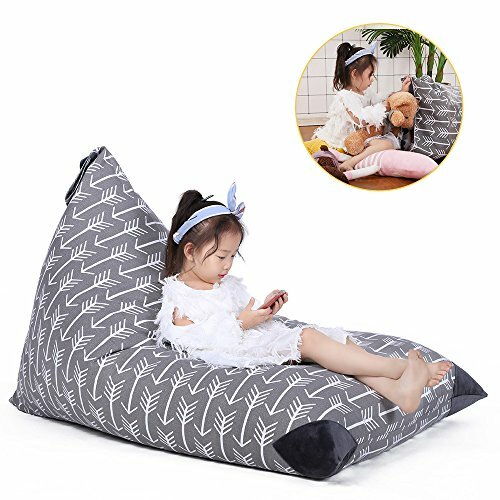 Bean bag cover are everyone's dream chair for having a snooze, watching TV or just chilling out. All the family can enjoy using. so you can take it outside for a comfy sun lounger or a piece of garden furniture. Perfect alternatIve to the toy storage hammock≠t organizer, or to storage boxes, bins, containers, baskets, cabinets, and chests. Safe comfortable and durable material, no need to worry about allergies, children can be free to play on it, free rolling, sitting, lying down. Bean bags are designed exclusively to fit the standard of ergonomic position, which enables them to sit comfortably more. 1. Please allow 0.5 - 1 inch error due to manual measurement. If you have any questions about this product by Jorbest, contact us by completing and submitting the form below. If you are looking for a specif part number, please include it with your message.